What's the Best Harvest Alternative? Harvest is a popular time tracking and invoicing solution that integrates with many project management services. How does it compare to Hubstaff in terms of time tracking, features, and pricing? We compare the two below so you can find the right software for your business. Time tracking is the main function of Hubstaff and Harvest - how do they differ? Hubstaff's time tracking app records exact time and breaks it down into 10 minute blocks - this gives you a powerful look into how your team spends their day. You'll know when they start and stop tracking time, when they take breaks, and how active they are when they work. Harvest only shows you the total time worked by project throughout the day, so you have less insight. How do the time tracking features between Hubstaff and Harvest differ? See our head to head comparison to determine which has the features your organization needs. Not only does Hubstaff offer more in-depth time tracking, it also takes automatic screenshots and monitors activity levels when your team is working. 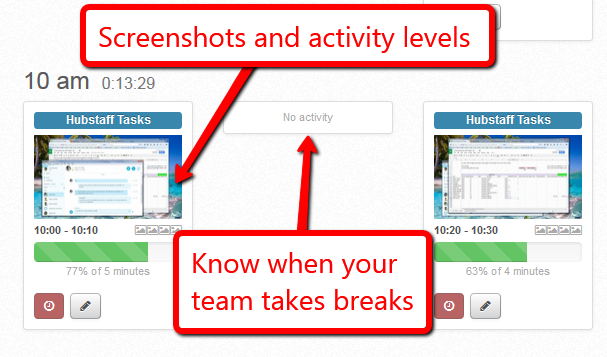 Configure screenshot frequency, blur the screens for privacy, and toggle activity levels on or off. 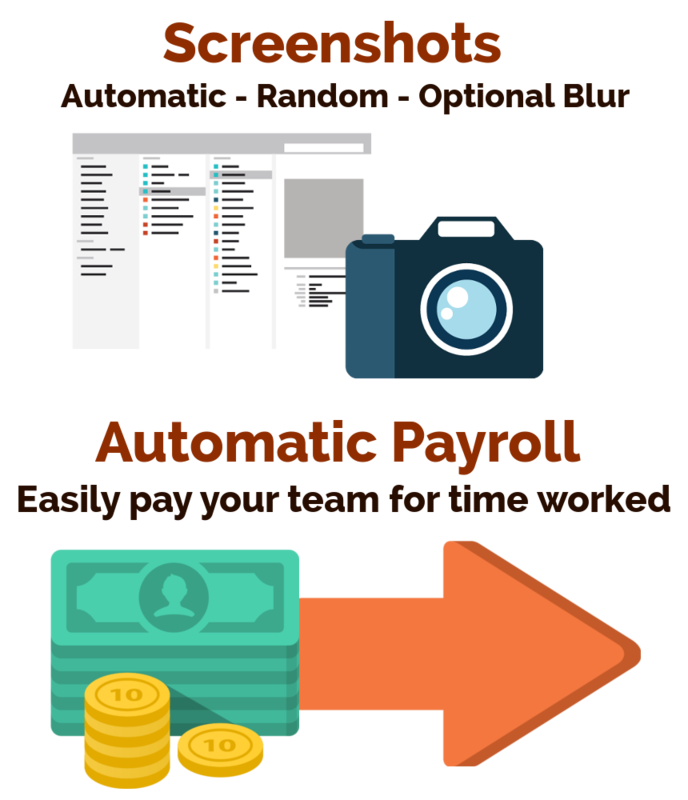 With Hubstaff's automatic payroll, your team can be automatically paid each period based on their time worked. Hubstaff integrates with over 30 tools, including project management, help desk, and CRMs. This means you can quickly integrate your current workflow without having to worry about different systems. 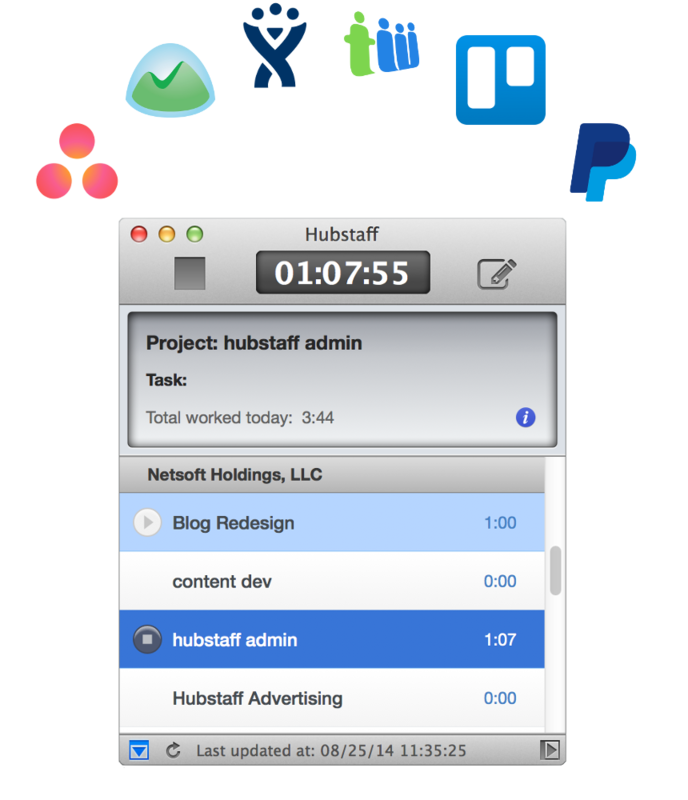 Hubstaff's integrations make it easy for your team members to track exact time on their tasks. Check out the current integrations. Ultimately, Hubstaff offers more powerful time tracking, more features for managing remote teams, and is less costly for small and large teams alike.